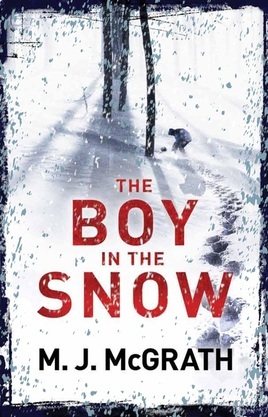 When Arctic guide Edie Kiglatuk stumbles across a boy’s body in the Alaskan forest, she little imagines what her discovery will lead her to. With the local police convinced the death is linked to the Dark Believers, a sinister offshoot of the Russian Orthodox Church, Edie’s friends insist she leave the investigation to the proper authorities. But remaining in the area as back-up for her ex-husband Sammy’s bid to win the famous Iditarod dog sled race, Edie cannot get the frozen corpse out of her mind. Where the tracks gave out onto the packed snow of the path, not far from the snowmobile, Edie Kiglatuk spotted a bright yellow object lying at the base of a spruce, protected from the snowfall by the tree’s branches. Closer up she was surprised to see that the yellow object was a tiny wood-plank house of the sort you might make for a small dog, about a metre long and half as wide. A very thin layer of snow had collected on the roof but there was none banked up against the sides, suggesting that the house had been there since the last snowfall, but most likely not much longer. There were no animal or human tracks around and the little house sat as if it had always been there in the snow, as if it belonged to some other reality. Crouching down with her right hand she turned the lever on the little door. Inside she could see something but it was too dark to pick out any details. She went back to the snowmobile, took her flashlight out of the pannier. The light revealed a package wrapped in a very elaborately embroidered red cloth. Edie reached out carefully and touched it. Whatever was inside was long frozen and very hard. She stood up with the package in her hand and moved over to the snowmobile, resting it on the saddle so she could take a better look. Tucked under the ornate fabric was a square of white linen-like cloth. She pinched it between her finger and thumb. Almost instantly, the cloth came away, exposing what lay inside. There, lying on the saddle of the snowmobile, was the body of a baby boy, a month or maybe two in age, lying on his belly, dead and hard frozen. The boy’s arms were raised, the hands balled into tiny fists, the legs angled down from the body as if in repose. His skin glittered with ice crystals. Reaching out, she slowly turned the boy over. His face was veiled with ice, the eyes closed, and he wore an expression of softness and calm. Onto the delicate new skin of the boy’s body someone had smeared grease and what looked like charcoal, or maybe ashes, in an elaborate, inverted cross.